Brown Stallion is a Ween tribute band out of Portland and Eugene, Oregon. 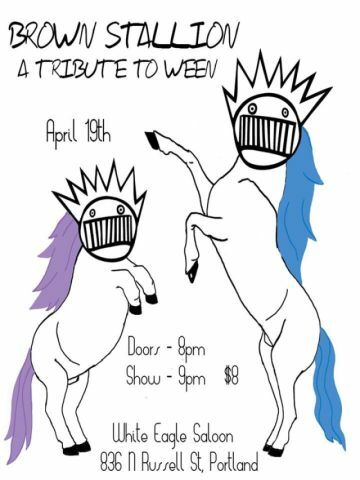 Made up of seasoned musicians that are truly Ween fans, their shows draw from the full catalogue of Ween songs and are imbued with the spirit of the Boognish. The band pays great attention to detail in recreating the songs, drawing heavily on Ween’s live performances and anchored by Deaner inspired guitar chops. Brown Stallion puts on a high energy and unrelenting show that reflects the depth of their love of all things brown.